It’s been a month into the legislative session. The sheer number of bills related to tax or public finance is staggering. It’s much more frenetic this year than in any other year I’ve been in this position, and my sentiments are shared with some of the rules attorneys from the Department of Taxation who cover many of the same matters at the legislature as I do. The Honolulu rail surcharge extension bill is morphing into a strange and dangerous monster. One version of the bill now includes, in addition to a perpetual extension of the surcharge and an outright grab of part of the money to feed the Department of Transportation, a 12.5% increase in the general excise tax rate, from 4% to 4.5%. That means the tax on Oahu would go up to 5%, and people would start seeing a tax of 5.263% on their store receipts. The teachers’ bill for education funding includes a whopping surcharge in the real property tax for any property that is residential and is not the owner’s primary home. For a property on Oahu just shy of $1 million in value, for example, the tax due would go from $3,500 to $9,000. 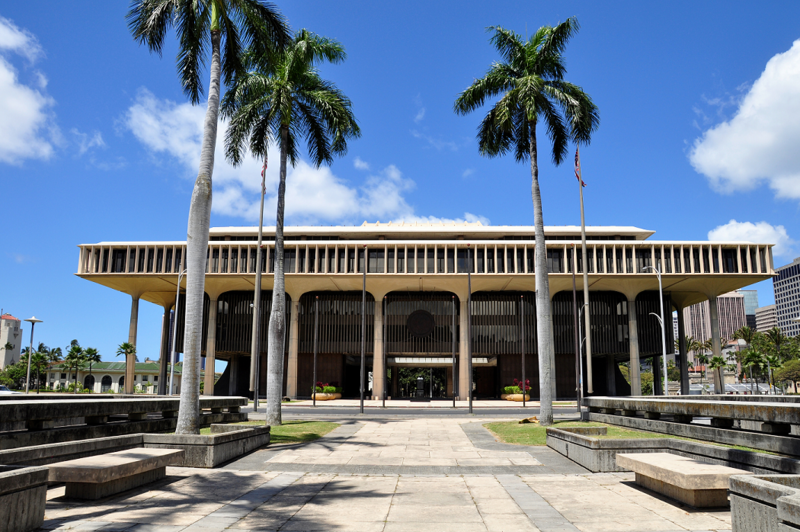 This bill can’t go into effect without a constitutional amendment, so lawmakers may be tempted to let the measure pass and let the voters decide its fate. Another bill would quadruple the conveyance tax, which is charged whenever real property as bought and sold. Under that bill, the top rate goes from $1.25 to $5.00 per $100 in price. There are several bills moving that would modify our individual income tax rates. Many would reinstate the 9%, 10%, and 11% rates that we just got rid of at the end of 2015. Some of these bills are tied to enhanced credits to provide poverty relief, but other bills just tinker with the rates. For some reason, the rates for corporations, estates, and trusts are all left alone, as is the 7.25% rate on capital gains for individuals. One bill would add hefty surcharges on traffic fines earmarked for law enforcement. The money is expected to go to law enforcement only, and wouldn’t be available for K-12 education, natural resource conservation, homelessness, or anything else. It might not be called a tax, but the result will be more money from people’s wallets going to the government. And then, our department of transportation is continuing its quest to jack up the fuel tax (this year they want six cents more per gallon of gasoline), the vehicle weight tax, and the vehicle registration fee. The latter two taxes would add $65 or so to the annual registration cost of a small car…and that doesn’t consider the county weight tax and fees, which could get bumped up by county government. Last but not least, there is a substantial contingent of people who are so worried about Obamacare being repealed at the federal level that they want it written into Hawaii law. That would include an individual mandate, similar to the federal one, that is enforced through the Hawaii income tax system. All of this goes to show that you probably want to be watching the legislature like a hawk this year. Remember, you won’t be able to influence the result if you don’t participate in the process.